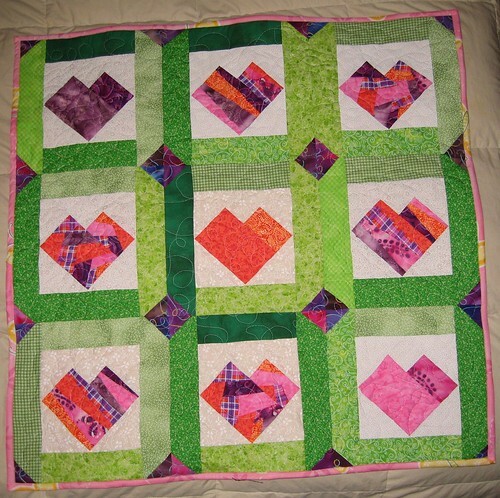 TTMT #503 – Itty Bitty Quilt Show! 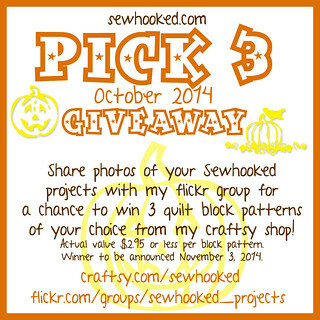 The Sewhooked Pattern Shop is now on Etsy Free patterns are still available right here on Sewhooked. 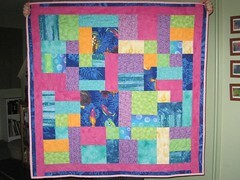 This entry was posted in charity, Christmas, etsy, shop, talk to me tuesday, The Linus Connection, ttmt and tagged charity quilts, etsy, linus, non-profit, orphan blocks, talk to me tuesday, The Linus Connection, ttmt on January 15, 2019 by Jennifer Ofenstein. This entry was posted in talk to me tuesday, vlog and tagged charity, DIY, non-profit, talk to me tuesday, The Linus Connection, ttmt on October 14, 2014 by Jennifer Ofenstein. Yesterday’s Linus Connection meeting was just lovely. You should stop by and see some of the GORGEOUS show & tell photos. This meeting was a little extra special for me because it was my 11th anniversary as a Linus volunteer. I didn’t make a thing of it while I was there, but I thought about it all day. Eleven years ago, I remember walking into my first meeting with my heart pounding. 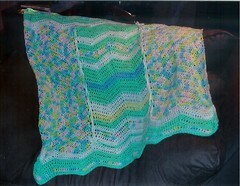 Another mom, who was to become my good friend, invited me after she found out that I crocheted. 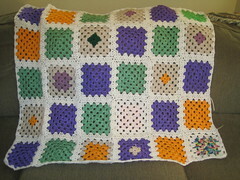 The first blanket I donated, November 2002. We’d lived in Austin almost four years at the time and I still didn’t feel really connected. Believe it or not, I was shy and more than a bit introverted and I was so nervous to walk in that first day because I had no idea what to expect. I was welcomed with open arms, despite obviously being the youngest volunteer there. By March the next year, I’d taken over the website. 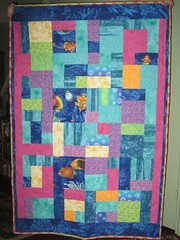 Six months after that, I was nominated to be a board member and had started learning to quilt. Linus became a very important part of my life, one that I could not now imagine living without. My longest local friendships all started at Linus meetings. Sucking up that courage to walk into that first meeting literally changed my life and I am a better person for it. I’ve chronicled my years at Linus through photography. The following are Flickr albums for each year I’ve volunteered. 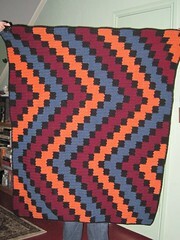 Most of the years before 2010 are pictures of my blankets. 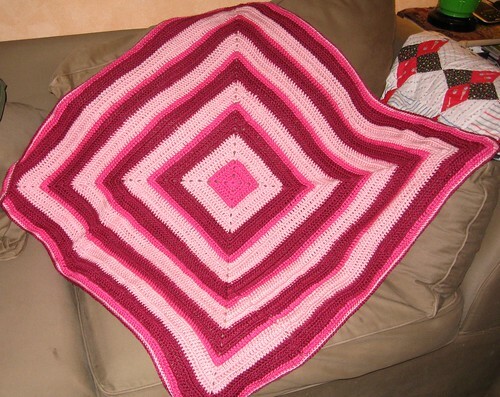 Eventually, I invited the online community to contribute to my favorite charity and began sharing photos of the blankets and quilt blocks you all shared, too. 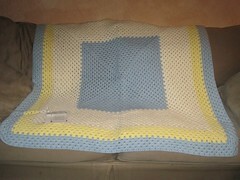 I’ve lost count of how many blankets I’ve personally donated since those first few! This is not by any stretch of imagination all the photos I’ve taken for Linus. With a few exceptions, every photo taken and posted on the Linus website since 2002 was taken by me! Or, you can click to see an epic mishmash of Linus photos I’ve taken! At each month’s meeting, I help sort blankets for distribution. We use a lot of IKEA bags for this! 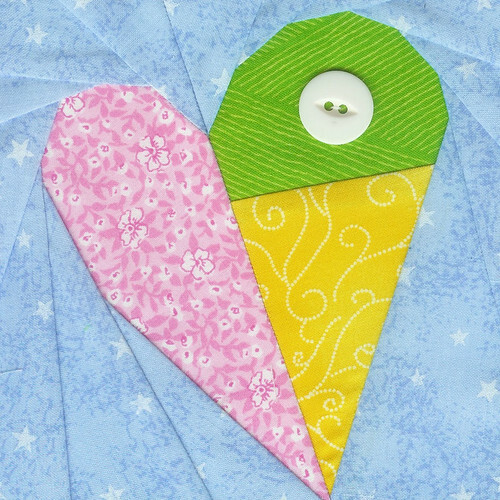 The Linus Heart, a free paper pieced pattern by yours truly. Thank you for indulging me as I think back over my years with Linus. There aren’t enough words to explain how important this organization is to me. Being part of this extraordinary group of volunteers has given me more by far than I could have ever anticipated. Do you volunteer? I’d love to hear about it in comments! 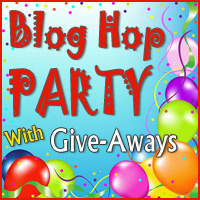 Join me later this week for the Blog Hop Party with Give-Aways hosted by The Quilting Gallery! REMINDER! I’ll donate $1 to Movember for every Mustachio! 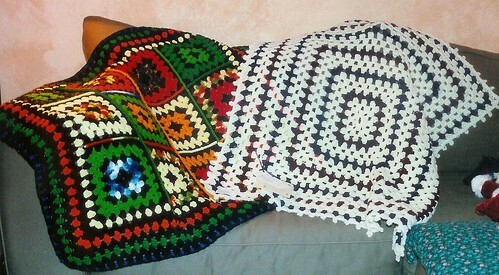 pattern set sold during November! This entry was posted in The Linus Connection and tagged anniversary, charity, non-profit, The Linus Connection on November 17, 2013 by Jennifer Ofenstein. The Linus Connection on Saturday was quite a whirlwind (Linus Show & Tell -there are thank you cards from kids, go see!). I think that was partially due to my being so busy last week By the time Saturday rolled around, it was a continuation of The Busy. 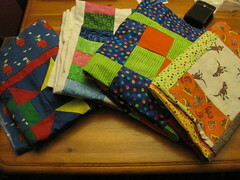 If you caught Wordless Wednesday last week, then you know I had 9 quilts to bind between Wednesday and Saturday. Despite working and having a sick kiddo, I still managed to get them all done! This is the end of my Go Get Granny and Log Cabins For Linus posts. It’s been amazing and I cannot thank you all enough for your generous donations! Anything I’ve received after the cut-off date has been donated directly to Linus. 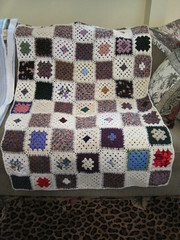 Unfinished projects have been and will continue to be shared with other volunteers so they can be turned into finished quilts and afghans without moldering in my craft room until I have time to get to them! Of course, if I receive a really amazing (finished!) 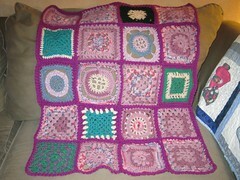 quilt or afghan in the mail, I’ll share it. It’s just my way! 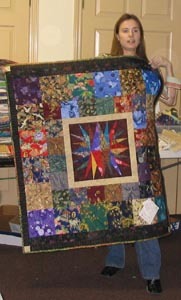 And now, quilts and afghans that were donated, sorted and distributed on Saturday, May 15, 2010. 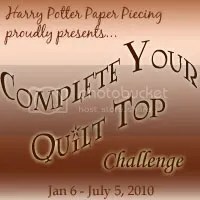 Three quilts made from one giant quilt top, which was donated by Shannon Shaw of Rock Creek Quilts, the official quilter of Harry Potter Paper Piecing. 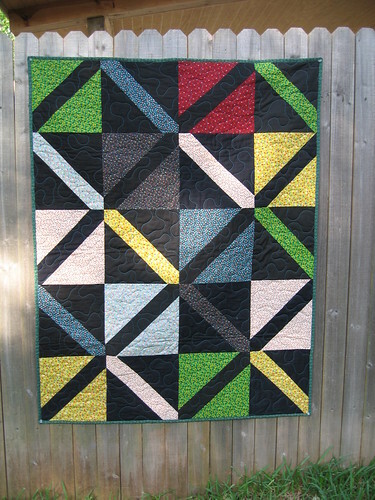 Unquilted tops donated by Becky G.
Made from quilt blocks donated by clumsy_chord, pieced by Shirley B.
Log Cabins for Linus! 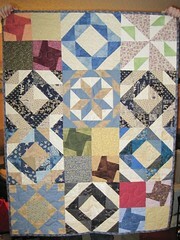 Individual block donations pieced into tops by me and quilted by Marge L.
Looking for a place to donate your time and talent? 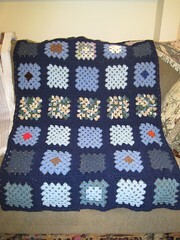 Try searching for “quilt donation” or “afghan donation” and your area. 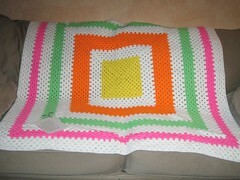 There are charitable blanket makers and non-profit organizations all over the world! 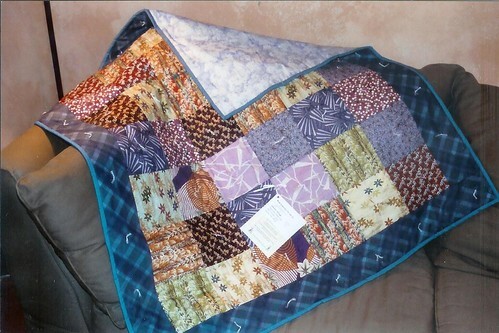 This entry was posted in charity, The Linus Connection and tagged austin, charity, go get granny, log cabins for linus, non-profit, texas, The Linus Connection on May 18, 2010 by Jennifer Ofenstein. 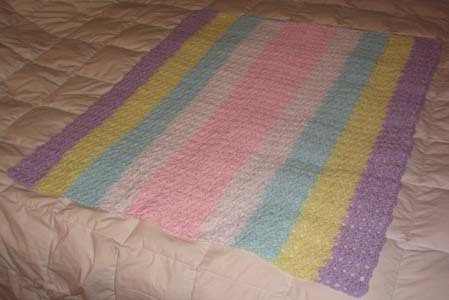 The Linus Connection is a Central Texas non-profit organization whose mission is to make and deliver handmade security blankets that are for children in crisis situations in the Austin and Central Texas area. 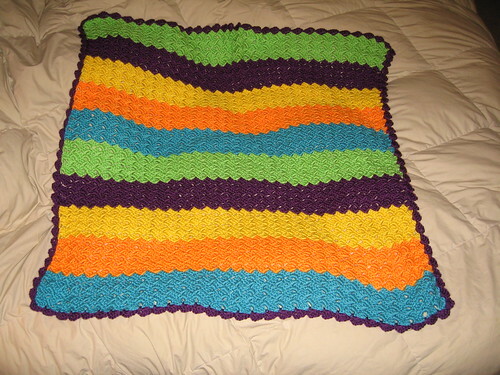 The blankets go to children in hospital emergency rooms, in crisis centers, foster care, battered women’s shelters, and to any child who is in need of a little extra security in their lives. I often make references to Linus or The Linus Connection in my posts. 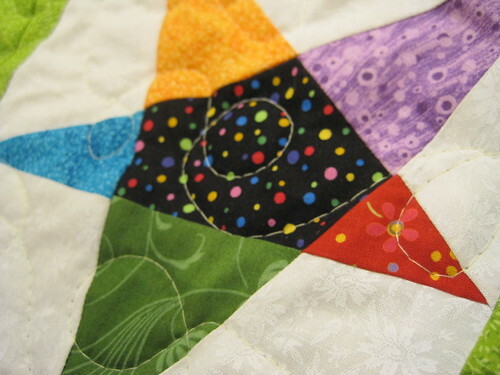 In recently writing an article about Linus for The Quilting Gallery, I realized I’d never spent a whole post just talking about Linus and what it means to me. I was much shier back then, but I went anyway. I was incredibly nervous when I walked into a building full of much older ladies all working industriously. Stephanie Sabatini, the founder and Executive Director of Linus met me at the door, and said, “I was told to expect you!” She put me to work immediately, sewing labels to donated blankets. When I got home, I was so excited to have a venue for my excess crafty energy, I started working on a new blanket immediately. I checked the Linus website for more information only to realize that it hadn’t been updated in over a year. 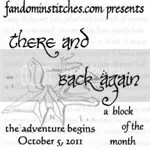 For my first couple of months at Linus, I sat with the crochet ladies or the label stitchers. After a couple of months, I plucked up the courage to mention that I had my own website and would willingly volunteer to update the existing site. By spring of 2003, I was the Webmistress of The Linus Connection, and I have been ever since. 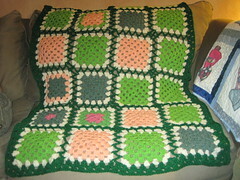 I continued to make crochet blankets to donate each month. In the autumn of 2003, the same friend that had introduced me to Linus suggested I come to a Honey Bee Work Day. 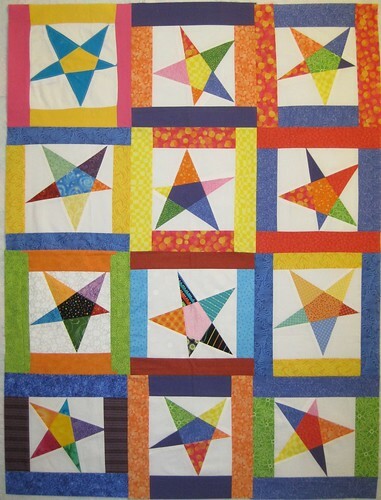 I’d been talking about making Halloween costumes and she told me that if I could make costumes, I could definitely make a quilt. Bring your sewing machine, she said. 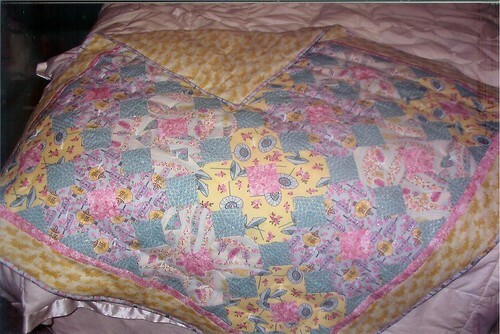 I did, again, nervous, because I’d never quilted before. 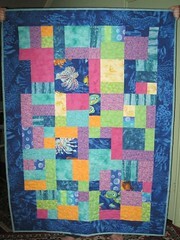 She got me all set up with a pre-cut quilt kit and I started sewing. 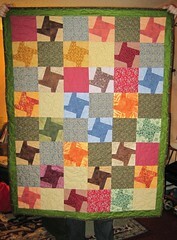 Before long I had a quilt top and I was searching online for information about borders and backing and binding. 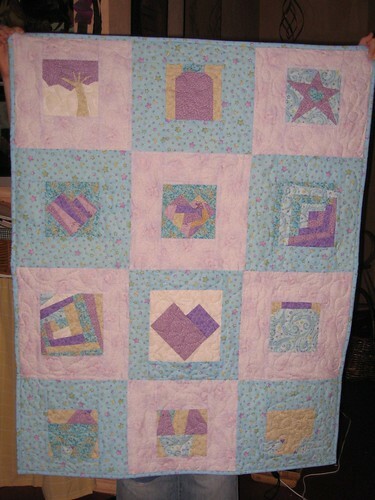 In late 2004, after experimenting with quilting all year, including joining my first (and only!) 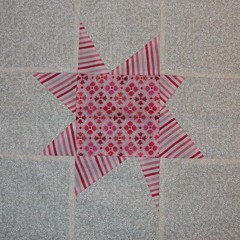 bee, I discovered paper piecing. 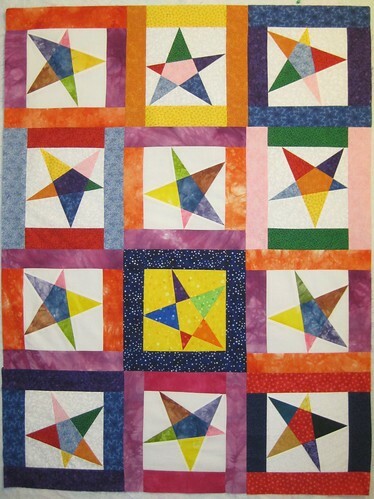 That was my light bulb moment in quilting and I’ve never looked back. 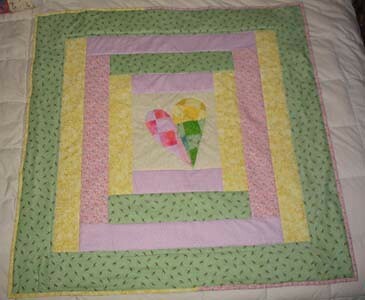 I was immediately designing my own patterns, one of the first ones being The Linus Heart. In 2004, I was also invited to be on The Linus Connection’s Executive Board of Directors. I served for two years as Newsletter Editor in addition to my ongoing position as Webmistress. 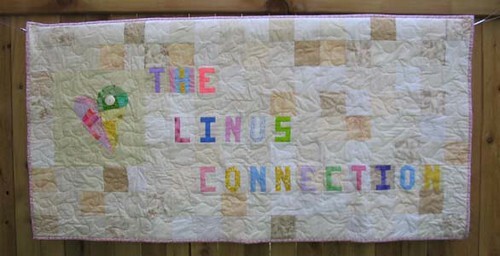 During that time I helped organized the first Linus Blanket Challenge, which has just seen it’s fifth year, as well organizing a group-wide project to create a banner for The Linus Connection to put on display at meetings and at other events when Linus needed a physical presence. 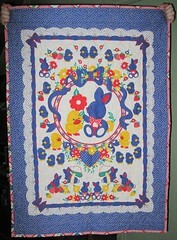 The banner (shown at the top of this post) included my own heart pattern, as well as letters from a Carol Doak pattern book. 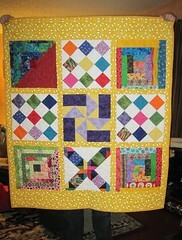 The layout was designed by me, while individual letters were paper pieced by volunteers from the group. 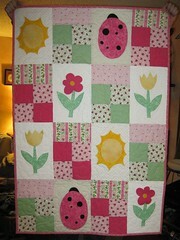 The banner itself was pieced, quilted and bound by myself and my bee friends. 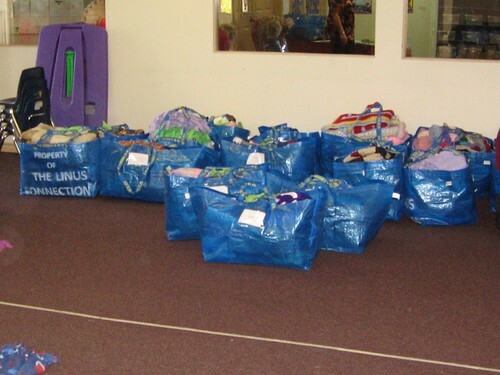 Sometime during this time, I starting taking more responsibility in the blanket sorting area at meetings, something I still do and enjoy enormously because the sorters get to see and touch all the blankets that are donated. I’m constantly saying we have the best job, because we do! When one of the other Board members suggested we start a monthly Show & Tell at the monthly meetings in 2005, I started bringing my camera and adding those photos to the Linus Website. One thing led to another, and I eventually started posting yearly photo videos to showcase Show & Tell blankets donated over the year. Since I stepped down from the Board in 2006, I have continued as Webmistress and in blanket sorting. The Linus Website is one of my pet projects and it’s evolved a lot over the years. 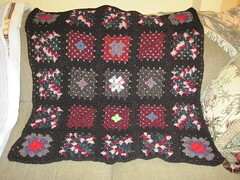 I updated it at least once a month, after meetings, updating photos, adding new information, pattern links etc. I’ve designed all the banners and graphics, as well as the layout and I take a lot of personal pride in it. Talking about all this makes it sound like I’ve forgotten all about the blankets, which I certainly haven’t. 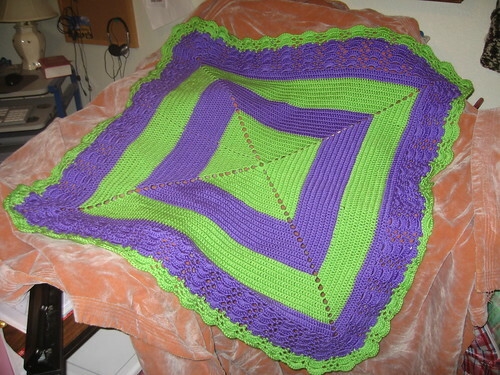 This year, I donated my 200th blanket, while I don’t always reach my personal goal of two blankets a month, I do always have at least one to donate. Just knowing that there have been 200 children touched by the work that came from my hands keeps me going. 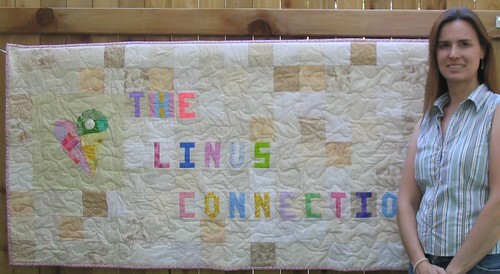 That’s what Linus is all about and that’s why I keep volunteering my time online, crocheting and quilting. 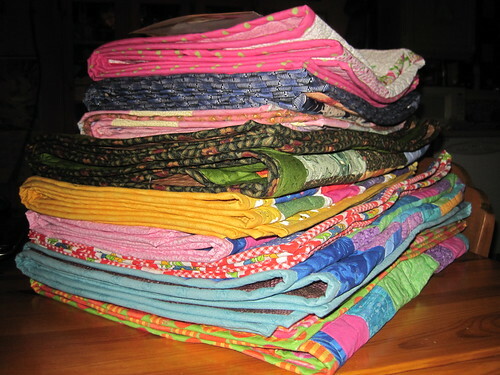 You will find me at the Linus meeting every month in the back sorting blankets and taking photos during Show & Tell. If you live in Central Texas, come by and see what we’re all about! We’re always in need of volunteers to make, sort, label and deliver blankets! May 2004, pattern from a magazine, but I don’t remember which! 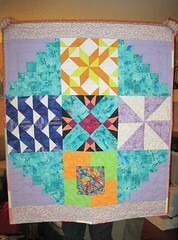 February 2006 Show & Tell, paper pieced center medallion from a Carol Doak pattern. January 2008, various paper pieced hearts, made for a demo I gave in 2007. 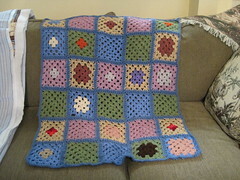 This entry was posted in crochet, quilting, The Linus Connection and tagged afghans, blankets, charity, children's charity, crochet, linus blankets, non-profit, quilt, quilts, The Linus Connection, yarn on October 23, 2009 by Jennifer Ofenstein.